Ideal for holding 5" wide headband mop head firmly in place. Vinyl-covered aluminum handle. 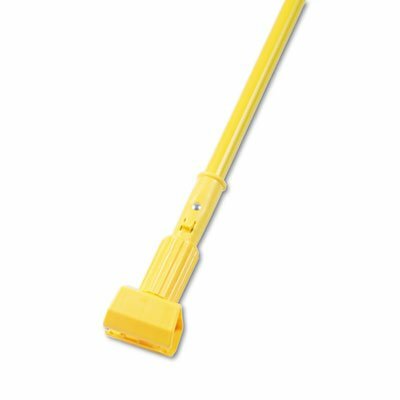 Handle Length: 60"; Handle Diameter: 1"; Handle Material: Aluminum; Color(s): Yellow. Tapered Handles, Straight-Grained Hardwood, 96 in x 1 1/8 in dia.